The WD TV is my favorite media player (I think it’s better than the Apple TV), and since I also love the Drobo, I wanted to combine the two and have the ultimate media entertainment center: a Drobo packed full of videos, photos and music, connected to a WD TV, which is connected to a large-screen HDTV. I did just that for my parents in December. It was my Christmas gift to them. Here’s what you need to keep in mind if you want to do the same thing. As you might guess, several complications arise when you attempt to get a device with huge storage capability connected to a media player. The complications have to do mainly with the file systems that the media player can read and use properly, and with the ability of the on-screen menus to navigate an abundance of content efficiently. 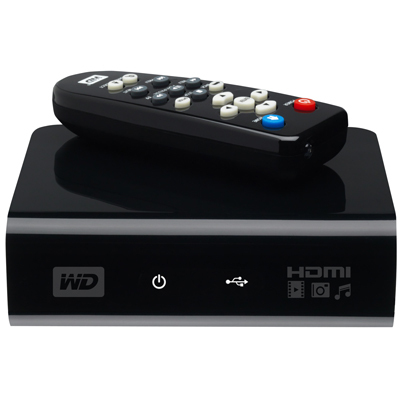 The WD TV can only work fully with NTFS, HFS and FAT32 file systems. By “fully”, I mean will build its own catalog of the media present on those devices, store it at the root level of those drives as a hidden directory, and will let you browse using its on-screen menus, by date or by file name. It will also read the HFS+ file system, which is native to the modern Macs, but it will not be able to write to it and build its own catalog; this means you’ll only be able to navigate the media on that device by folder. The Drobo can be formatted as an NTFS or FAT32 volume when using a PC, or as an HFS+ or FAT32 volume when using a Mac, if you happen to use the Drobo Dashboard to do it. If you use the Disk Utility app on a Mac, and you also happen to have the 3G NTFS drivers installed, you can also format the Drobo as a 3G NTFS or as an HFS volume. I ended up formatting my parents’ Drobo as an HFS+ volume. I’ll tell you why below. If you’re not interested in the minutiae, skip ahead to the next paragraph. First, I tried formatting it as a 3G NTFS volume. For some reason, the formatting process either froze or took unusually long to complete, and the resulting volume wasn’t readable on the Mac or on the WD TV. I have a feeling that had to do with the fact that the volume was over 2TB in size, and 2TB is the upper limit for NTFS volumes, but I’m not sure. I tried splitting the Drobo into two HFS+ volumes, one 2TB and the other 400GB (2.4 TB was the total available space on the Drobo), then formatting those volumes as 3G NTFS volumes, but that didn’t work either. The formatting process kept hanging up in Disk Utility. I tried formatting the Drobo as a straight NTFS volume using a Parallels VM running Windows XP (I installed the Drobo Dashboard inside the VM), but that kept hanging up as well. Not sure why. Perhaps I should have used a physical Windows machine, but I didn’t have one available to me. The WD TV took longer and longer to read the device and build its catalog once I connected the Drobo. The more movies I had on the Drobo, the longer it took the WD TV to catalog each of them. That meant waiting up to 20 minutes for the WD TV to get done with its work before I could use it. I didn’t like that. I had several movies that were over 4GB in size, and since that’s the upper limit for a single file in the FAT32 system, I couldn’t get them copied over to the Drobo. I didn’t like that either. I thought I’d try another route, so I formatted the Drobo as an HFS volume. While this was fully readable and writable on a Mac and also on the WD TV, unfortunately, the maximum file size on HFS is 2GB, and the maximum volume size is also 2TB, same as FAT32 and NTFS. Not much help there. The only choice left to me was HFS+. In spite of the fact that the WD TV can only read it, not write to it, this was and still is, I think, the best choice for formatting a Drobo and for working with the WD TV, from the entire group (NTFS, FAT32, HFS and HFS+). The upper limit on an HFS+ volume is 16 EB (exbibytes), which is equal to 1024 pebibytes — basically, an incredible amount of space. One pebibyte is equal to 1024 terabytes, and the upper limit one can get with a Drobo at the moment is 5.5 terabytes, so it’s nowhere near the technical capability of the file system. Furthermore, the upper limit on a single file in HFS+ is 8 exbibytes, which, as shown above, is just plain huge. In plain English, this mean I could format the Drobo as a single HFS+ volume and not worry about any of my movie files exceeding 4GB or more in size. Great! Now that I’ve put you to sleep, let’s move on. Next on the agenda came the transfer of all the data to the Drobo. You see, I’m also using my parents’ Drobo as an offsite storage device. You know what they say, give and ye shall receive, right? I made them happy by setting up their media center and also got to back up most of my data, media, and photographs. The transfer of the information took a while, as you might imagine. I didn’t time it, but I think it was somewhere between 24-36 hours to copy about 2TB of data from my Drobo to their Drobo. I’m happy to say that the copy operation did not crash, and completed successfully. That’s a testament to the stability of the Drobo as a storage device. After the data transfer was complete, I was done. It was time to sit back on the sofa and enjoy my hard work. Even though the WD TV couldn’t aggregate the media on the Drobo and build its catalog, which would have let me browse the media by type (video, photo or music), date or title, I was able to browse the Drobo by folder. Since I’d already organized the media that way, I didn’t mind it at all. I had my videos broken down into separate folders for Cartoons (I love classic cartoons), Movies, Documentaries and TV Shows (I love Mister Ed), and I was able to watch most of my stuff. As a side note, even though the WD TV manual says it’ll play WMV9 files, and my Mister Ed episodes were encoded (I believe) with WMV9 technology, I can’t play them on the WD TV. I’m sad about that, but at least I can watch them on my MacBook and iMac. Perhaps I’ll re-encode them into MP4 files at some point. I mentioned something at the start of the article about the on-screen menus and their ability to navigate the content efficiently. The WD TV lists the media in thumbnail mode by default, which means you’ll have a little icon next to each media file. When you have a ton of files to look through, that’s not very efficient. Fortunately, you can go into the WD TV settings and change it to List mode. This will list each piece of content on a single line, and will let you see more titles per screen. To scroll up and down the file lists faster, simply hold down the up or down arrows on the WD TV remote, and it’ll accelerate, speeding through the titles. I’ll concede that the on-screen menus for the WD TV aren’t as slick as those you see on the Apple TV — and by that I mean how easy and quick it is to navigate to a particular title, not the glitz and glamour of a fancier UI skin — so there’s some work to be done there, but the WD TV is much more practical than the Apple TV when it comes to playing your media. You simply plug in a USB drive loaded to the gills with movies and photos, and it’ll play them right away, which is something that the Apple TV just doesn’t do out of the box. Format your Drobo in HFS+ if you have a Mac, or NTFS if you have a PC. Keep in mind there’s a 2TB per volume limit under NTFS, and that WD TV will only recognize one volume at a time (at least currently). Stay away from FAT32 and HFS because of the file-size limitations (4GB for FAT32 and 2GB for HFS). 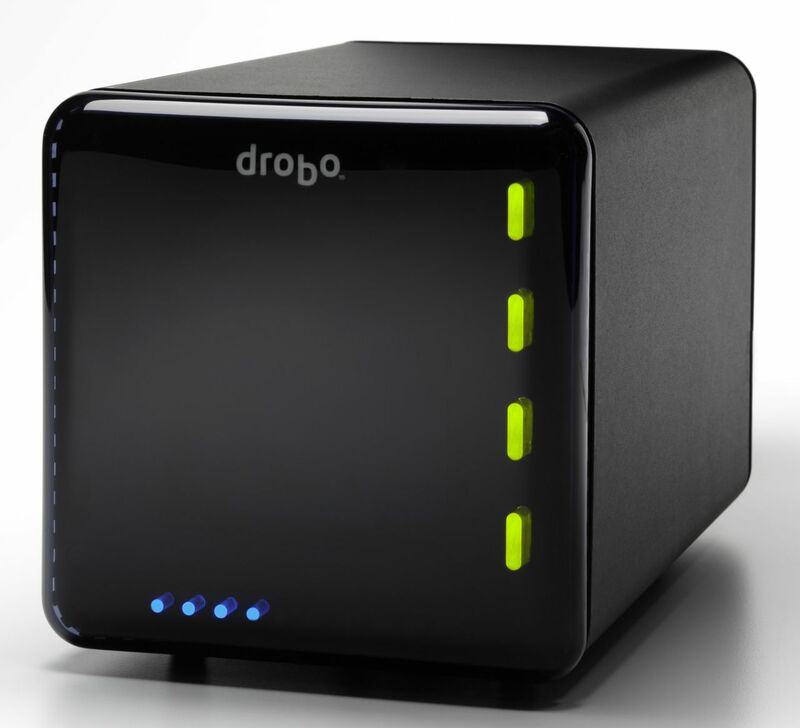 Transfer your media to the Drobo. Buy a WD TV or a Drobo. I am currently using a 5 bay drobo with the WD tv. The problem is the WD will only recognize one of the drives. Is there a way for the media player to see the data on all drives or an easy way to switch the drive that the WD is pulling from? Sorry, there isn’t. From my experience, the WD Media Player is limited to 2TB volumes. And its interface offers no easy way to switch between volumes, although I found that if I ejected the Drobo volume from its interface, then re-connected it, it would sometimes see one of the other volumes. But that’s not a feature, and you shouldn’t rely on that. I also don’t know of any other media players that will see volumes larger than 2TB, and especially HFS+ volumes. The Boxee player, perhaps, but I couldn’t find in its specs anything that said that. So perhaps if you’re interested in really accessing all of your media over the network, you might want to think about getting either a networkable Drobo, or something like the QNAP 110 Turbo NAS, which I recently got. It will read HFS+ volumes larger than 2TB, and it will let you network them as well. Then if you can get a media player that will stream from network sources, you should be able to access and play all your files. But there’s some homework to do there in order to make sure all your needs are met. presumably you connected the drobo and wd tv using usb 2.0. did you face any problems with the slow data transfer that the drobo is rumored to have when playing the media files ? Not at all. You can even play HD movies from the Drobo over USB 2.0, and as long as your computer’s processor can handle it, they play without a hitch. I’m wondering of pairing my LaCinema Classic HD with a Drobo too. I was hoping if you could answer a simple question? I’m left puzzled if you can shut down the Drobo when you also shut down your media player? I read on Drobo’s site that shutting the thing off takes a few more steps than usually. Can you tell how the Drobo acts when your media player is turned off? I don’t think I’d want the Drobo to be on 24/7. Ideally it would follow the media player – turn on when it’s on and turn off when you shut it down. The Drobo has its own power management built in. Even when it’s connected to a computer, if not accessed, it’ll power down the drives and even put itself in standby. So my advice is not to worry about it. Unless the LaCinema drive accesses it, it’ll go to sleep. And when you power on the drive, it’ll power itself on as well. At least that’s the way things work with my computer and my Drobos. have you tried WDLXTV – enhanced WDTV firmware with the drobo? 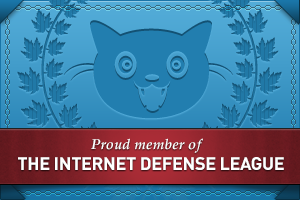 Wanted to see how well it worked and what functionality it really added. Michael, there’s a detailed discussion about that firmware upgrade in the comments for this article, and also within this article and its comments. Bottom line is, I haven’t tried it yet, but others have, and they like it. The problem with large volumes (>2TiB) is that they use different partition table. Classical MBR table has a limit of 2TiB for one volume. If host system does not recognize this newer partition table, then it can’t properly work with such drives. So 2TiB is NOT a limit of NTFS but it is limit of single volume in drive’s MBR partition table. Looks like WD TV HD player does not support other partition tables like GUID and therefore has problem accessing large volume drives. I myself have a 2nf gen drobo with 4TiB NTFS data volume and WD TV HD player did not recognized it, but my QNAP TS-109 and PopcornHour A-110 doesn’t recognize my drobo either. Windows Vista has no problems working with my 4TiB NTFS drobo volume because GUID partition table is supported.